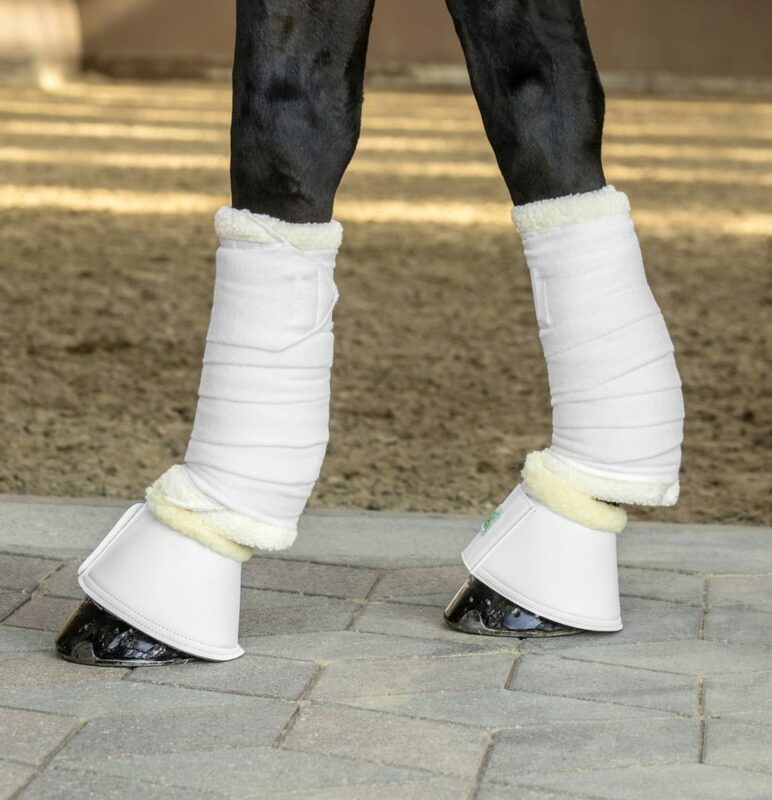 USG Dressage Boots, with synthetic sheepskin trim. 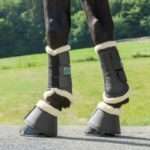 The anatomic design allows more freedom of movement to the knee and fetlock, while providing comfort and support. 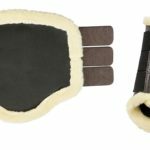 Synthetic sheepskin trim and neoprene lining, with three sturdy velco and elastic closures. Lightweight, breathable, and easy to clean. 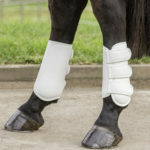 Note: Boot is in the same cut for front and hind legs; please order up a size for hind legs. 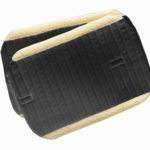 USG Tendon Boots, with inner synthetic shell for optimal protection. The anatomic design allows for better fit and freedom of movement and the shock absorbing neoprene padding offers maximum comfort and support. 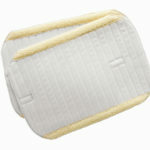 Durable, breathable, and easy to clean. 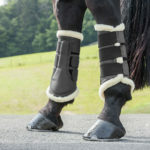 Note: Boot is in the same cut for front and hind legs; please order up a size for hind legs. 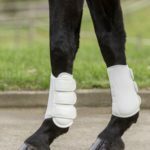 USG Leg Pads offer lightweight, breathable impact protection and can be used in combination with polo wraps or track bandages; for riding or use as standing bandages. 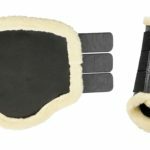 Synthetic fleece trim and velcro closure for convenience. Set of 2.